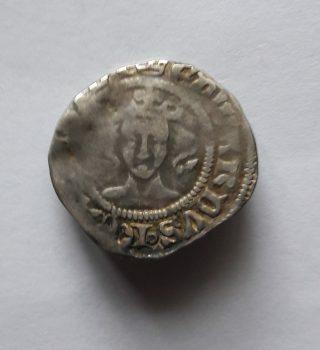 This is an English silver penny struck in 1356, the year that their army, with longbowmen as their main weapon, won a resounding victory over the French at Poitiers. 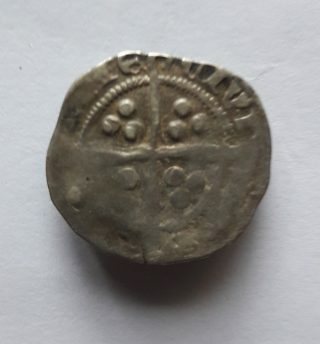 The main identifiers are: The obverse legend has EDWARDVS with a crown mark before it. The reverse has the last letters of the mint (DUREME) and the curved end of the cross shows the mint was controlled by the bishop Bp. Hatfield.